Marinas, boat brokers and boat haulers, please see the Aquatic Industry Best Management Practices document here. 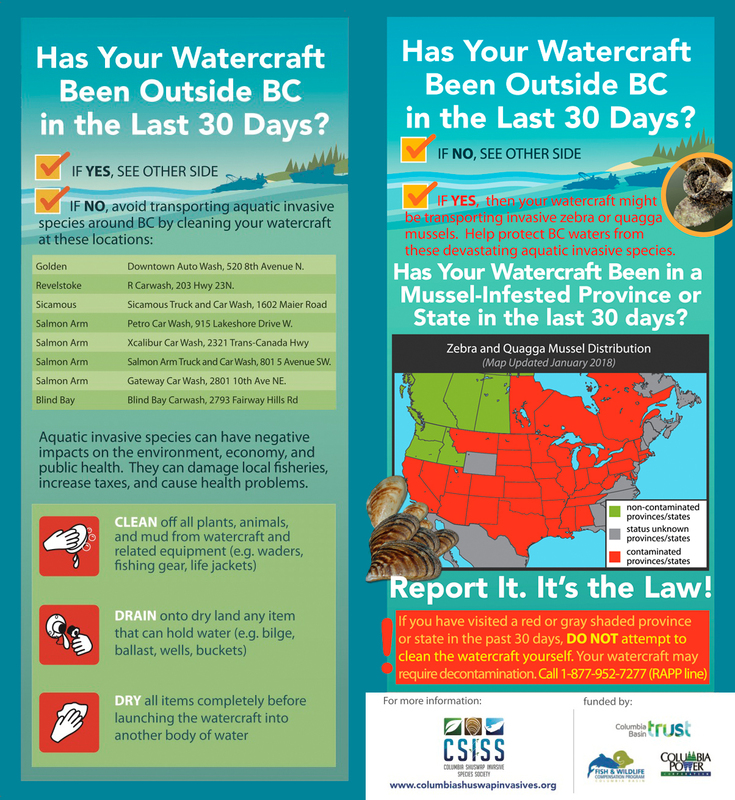 Aquatic invasive species are plants, fish and animals that are not from BC, and that can have serious negative impacts on our environment, economy, and society. 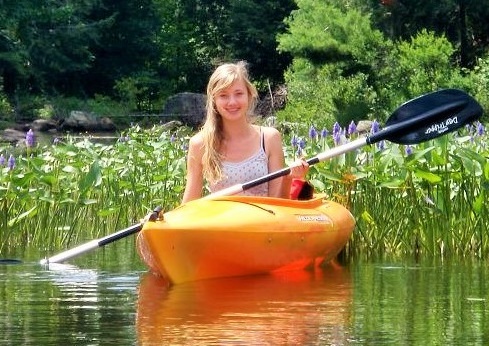 The most frequent and unintentional transmission of aquatic invasives from one lake or river to another is through the movement of watercraft and recreational equipment. An easy way to ensure that you are not transmitting invasive species is to clean, drain and dry your boat and gear between water bodies. Zebra and quagga mussels could send our water and power costs skyrocketing if they get into BC waterways. EVERY TIME you move your watercraft to a new lake or river! 1. Clean off all plant parts, animals, and mud from boat and equipment (e.g. boots, waders, fishing gear). Use power wash station if available. 2. Drain onto land all items that can hold water (e.g. buckets, wells, bilge, and ballast). 3. Dry all items completely before launching into another body of water. 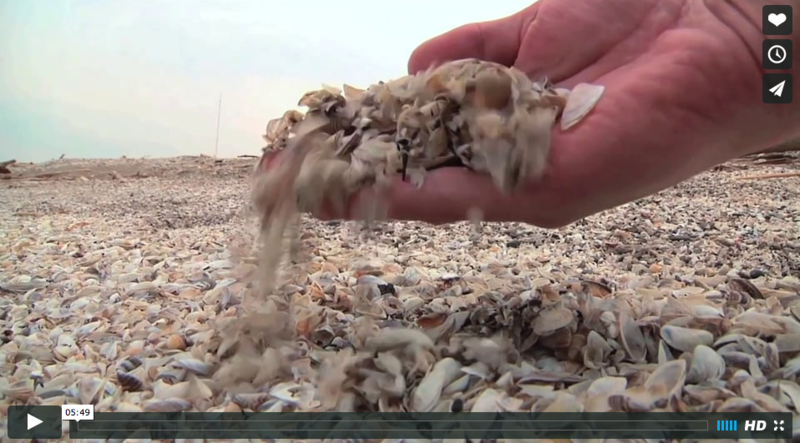 A major threat to BC’s freshwater lakes and rivers are zebra and quagga mussels. 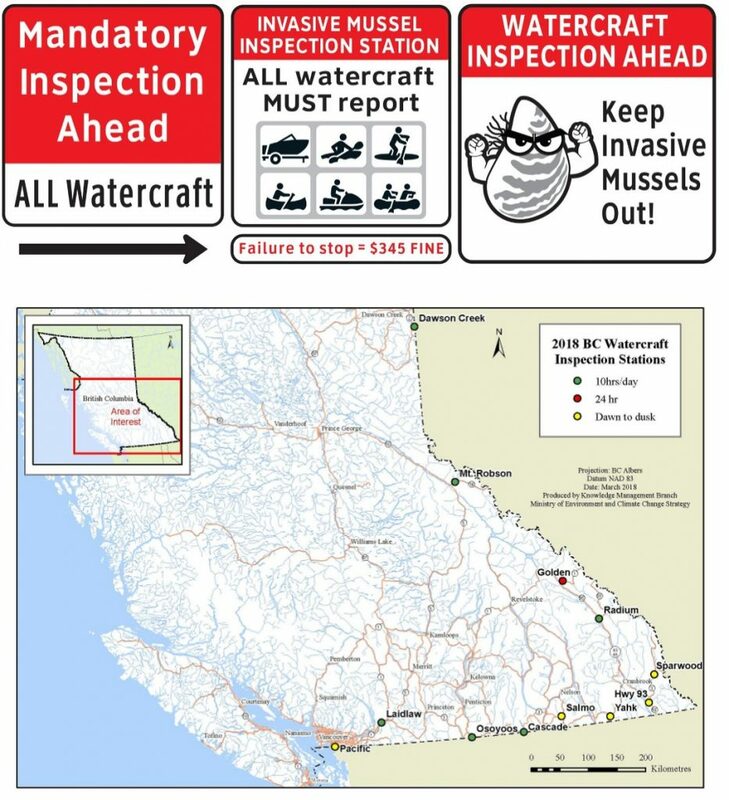 For more information visit the BC Inter-Ministry Invasive Species Working Group. Whirling disease affects all salmonid fishes, including salmon and trout. It has the potential to decimate these fish species and can be accidentally transmitted through the movement of fish (alive or dead), water, mud or plant matter. 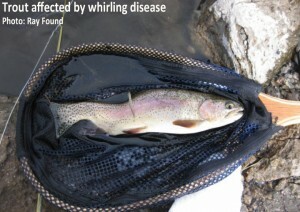 Whirling disease has been found in the Bow River watershed and may be present on other waterbodies. Do not transport fish (alive or dead) from one body of water to another. Do not dispose of fish entrails into any body of water or into your garberator. Drain boats, equipment, coolers, live bait wells onto dry land. Thoroughly wash mud from vehicles, boats, trailers, waders, boots, and fishing equipment. Never transport aquatic plants, and make sure all equipment is cleared of weeds after every use. Spores are particularly persistent in felt soled wading shoes. If you have any doubt about contamination, you may treat these with a solution of 10% chlorine bleach and water for at least 15 minutes. Thoroughly rinse with water before using your waders to prevent residual chlorine from entering streams. For more information about whirling disease see the Canadian Food Inspection Agency website. 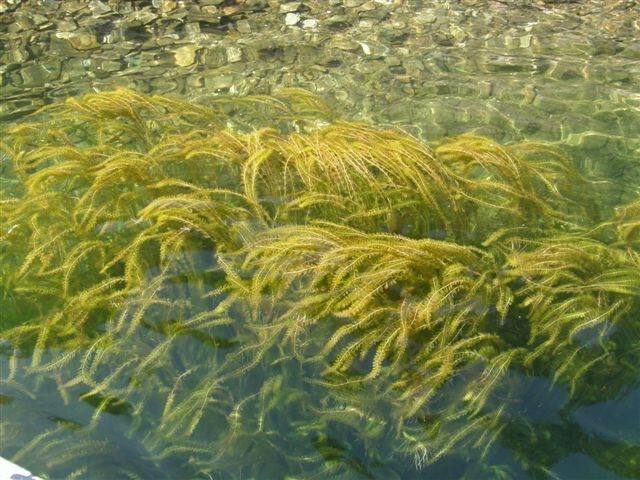 In the Columbia Shuswap Regional District, invasive Eurasian Water Milfoil can be found in Shuswap Lake, Little Shuswap Lake, Mara Lake and the Shuswap River. 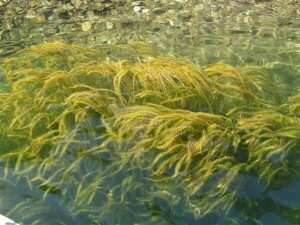 As with most invasive plants, once milfoil establishes, it is almost impossible to eradicate. 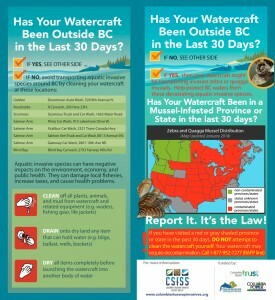 Prevention is the best method to stop its spread, remember to Clean, Drain, Dry your boat! For more information visit the CSRD Milfoil Control webpage. To continue to enjoy our pristine waterways it is vitally important that all boat types, big and small, are CLEANED, DRAINED and DRIED before moving from one waterbody to another.